In recent years, as China’s positive effect has constantly surfaced in the global tourism industry, its influence and voice continues to increase in the world’s tourism industry. The Fragrant Hills Summit is not only a renowned meeting event brand in the global tourism industry, but it has provided a large stage for realizing the communication between the tourism cities in the world, making cross-cultural communication possible, and promoting the economic development of tourism cities. At the opening ceremony, Meng Fanli, Mayor of Qingdao, delivered a welcome speech to express the wish of Qingdao to further its cooperation and reach mutual benefit and win-win results with the members of WTCF. He said, “I sincerely hope that, through WTCF, we can further our communication and cooperation with the overseas tourism cities and tourism institutions, boost resource sharing, promote the complementing of advantages, achieve mutual benefit and win-win results, and join hands to create a more beautiful future for the world tourism.” Wang Ning, Executive Vice Chairman of WTCF Council, and Vice Mayor of Beijing, delivered a speech at the opening ceremony, and said, “WTCF hopes, by implementing the Action Plan for the Brand Building of World Tourism Cities (2018-2027), to further improve the understanding of our members on the importance of city brand building, drive to set up the tourism city brand building communication and cooperation mechanism that covers different fields, multi-levels and multi-channels, and help member cities and more tourism cities to achieve the economic, social, cultural, and ecological coordinating development under the guidance of brand building”. Tegegnework Gettu, the United Nations Under-Secretary-General, also delivered a speech at the opening ceremony. He said, “Over the past few years, WTCF has made tremendous progress, contributing to global economy, peace, and prosperity. We welcome such outstanding efforts, because tourism contributes to world peace, prosperity, and stability. UN will continue to actively participate and support WTCF.” Song Yu, Secretary-General of WTCF, and Didier Truchot, Ipsos Chairman & Chief Executive Officer, of the world famous data firm Ipsos, delivered keynote speeches on tourism city brand development. At the opening ceremony, WTCF held a joining ceremony for its 12 new members. As of today, since its establishment with 58 founding members, WTCF has grown into an organization of 205 members, which come from 67 countries and regions of the five continents of the world. Randall Mitchell, Minister of Public Administration of the Republic of Trinidad and Tobago, representing the new members, delivered a speech. At the Council Meeting, the council members unanimously agreed that Beijing, where the headquarters of WTCF is located at, will be selected as hosting city for the WTCF Member Meeting 2020 and the Fragrant Hills Tourism Summit 2020. During the summit, WTCF released many academic research results, which provide intellectual support and decision-making services for the development of the world tourism cities. At the opening ceremony, WTCF released the Annual Report on Development of World Tourism Cities (2018) research result, and announced the top 20 cities that include cities from the 2018 world tourism cities development comprehensive ranking list, and six single ranking cities. The top 10 cities from the comprehensive ranking list are London, Paris, New York, Tokyo, Beijing, Seoul, Sydney, Dubai, Hong Kong, and Rome. Among the single ranking cities, London tops the ranking in resource attraction, comprehensive support, and tourism satisfaction; and cities that top the ranking in industrial prosperity, tourism convenience, and economic contribution are New York, Frankfurt, and Geneva. The Market Research Report on Chinese Outbound Tourist (City) Consumption (2017-2018) was released at the forum and has outlined the new changes and new trends of China’s outbound tourism market after investigation and analysis. This report can help the tourism cities and related tourism institutions outside of China more comprehensively, systematically, and objectively know and understand Chinese outbound tourists, so as to improve and strengthen related tourism products and services. The UNWTO/WTCF City Tourism Performance Research report (Chinese and English versions), jointly launched by WTCF and the UNWTO, was distributed at the summit. The report selected 15 WTCF member cities, and researched them from the key performance areas such as destination management, economics, social culture, environmental perspectives, technologies, new business models and so on, and is aimed at analyzing the success experience of the world tourism cities development, exploring the evaluation criteria of the world tourism cities development, and providing guidance for the world tourism cities development. Focusing on the theme of the summit, WTCF held four themed forums and shared the city brand building experience of the developed areas to help develop brand cultivation of the developing tourism cities. The topics include “Building of Tourism City Brand”, “The Rapid Rise of Mass Tourism and Its Global Impact”, “City image and City Brand: How can Tourism Cities Improve Their Image through Branding?”, and “Creating and Managing Partnerships for City Branding and Promotion”, with the second forum being a special one organized by the BBC. This summit has also prepared the following activities: tourism exhibition, Tourism Trade Fair, Tourism Promotion Conference, World Tourism Cities Investment & Financing Conference and so on. The Investment & Financing Conference will include the investment and financing forum focusing on the topic “New Trend of the World Tourism Investment”, and the Tourism Investment Fair. This year, WTCF has launched the Integrated Service System for Global Tourism Equity Investment and Financing and put it into use. 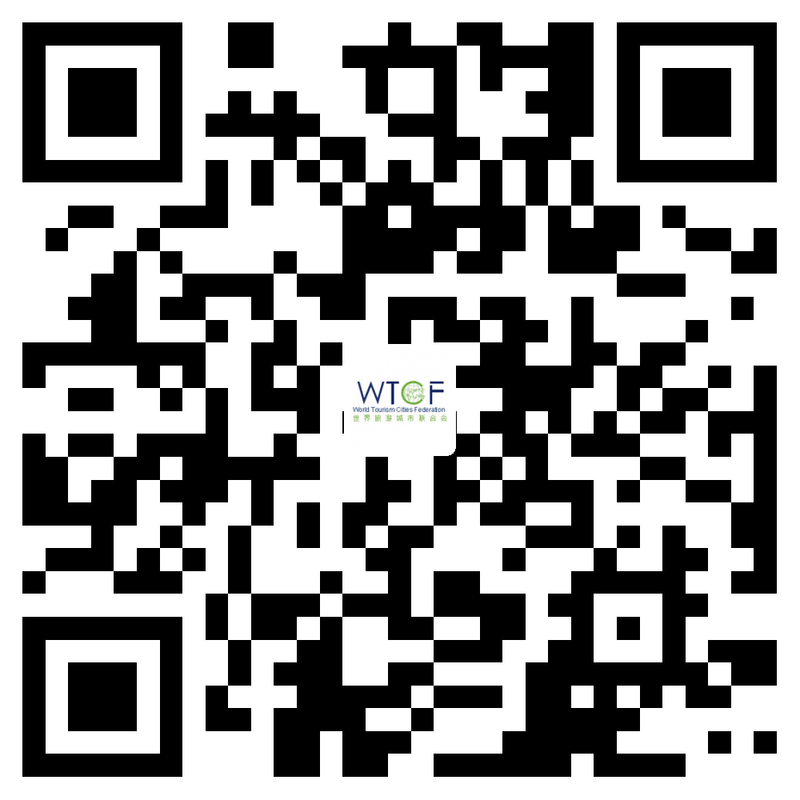 This is the new measure that WTCF has taken to serve its members. Before the summit, WTCF had already received more than 160 projects in total, which were all submitted by members. At this Investment & Financing Conference, 23 projects including Qingdao Expo and Surrounding Area Upgrade & Ice and Snow World Project, China Confucian Businessman Industrial Park, and Huaxia Datong Beautiful Industry Government Investment Guiding Fund signed their contracts on site, and the amount of money signed in the projects reached about 151 billion RMB. The hosting of the Investment & Financing Conference will boost the cross-regional and cross-industrial tourism resource development and construction, and market investment and capital operation, and promote the sustainable and healthy development of the tourism industry and related service areas. During the summit, the 6th China International Cruise Summit (Qingdao), which also includes activities such as the opening ceremony, keynote speech, industrial leaders, cruise port and destination, cruise ship cities and tourism, cruise ship repair and building, cruise ship talent and other sub-forums, and the Qingdao Cruise Tourism Promotion Meeting & International Cruise Sales Training and other activities. At the summit, the Committee of Cruise Industry of WTCF and Alibaba Group jointly released the 2018 China Cruise Tourism City Consumption Report, and set up Asian cruise ship industrial development and communication platform, and discussed the Asian cruise ship win-win cooperation model. WTCF continues to deepen the cooperation between its members, and its services for its members, and has launched the Manual of Member Service Projects including eight services: exhibition activities, theme communication, We-media marketing, tourism project investment and financing, consulting service, trade fair, customized service, and industrial training. With the strong push of WTCF, Qingdao Municipal People’s Government and Cartagena de Indias signed cooperation agreements to conduct their cooperation regarding city tourism. As the initial member cities of WTCF and the hosting city of this Fragrant Tourism Summit, the strength and influence of Qingdao as a tourism city have increasingly improved and left a beautiful impression on the summit’s visiting representatives. This Fragrant Hills Summit exposes the characteristics in all aspects, and and Tsingtao Brewery Co., Ltd. will release its ad as the sponsor of the closing ceremony “Night of Qingdao Beer”, and also deliver a keynote speech with the theme of “Pattern of Tsingtao Beer in China’s Industrial Tourism”, aimed at making every summit participant experience the good reputation “City of Beer” that Qingdao deserves. This year’s Fragrant Hills Tourism Summit has showcased the constant increase of WTCF’s attraction, service ability, guiding ability, and influence, and has made a positive impact on the reciprocal development of all its members and the global tourism industry. This summit is bound to boost the balance, inclusiveness and sustainable development of the world’s tourism industry. World Tourism Cities Federation (WTCF), which was voluntarily formed by famous tourism cities and tourism-related institutions in the world under the initiative of Beijing, is the world’s first international tourism organization focusing on cities. WTCF was established on 15 September 2012 in Beijing. Guided by the core vision of Better City Life through Tourism, WTCF provides services to its members that cover the entire tourism industrial chain. It aims to facilitate exchanges and cooperation among members, spread the experience of tourism city development, promote tourism products and resources, and contribute to the development and prosperity of the world tourism industry. Starting with 58 founding members, WTCF has now grown into an international tourism organization with a total of 205 members, which include 136 city members, 69 institutional members and 6 branches. City members cover 67 countries and territories. Its institutional members include travel agencies, mass media, airports, airline companies, hotel groups, cruise companies and financial firms. WTCF consists of several branches including Expert Committee, Committee of Civil Aviation, Committee of Tourism-Related Businesses, Committee of Media Organizations, Committee of Cruise Industry, and Committee of Investment. In 2015, WTCF was awarded the WTM’s annual World Travel Leaders Award; and it has been invited to exclusively co-host the ITB Berlin for three consecutive years. With its growing appeal, capacity, leadership and influence in the tourism industry, WTCF is credited as the fastest-growing international tourism organization. WTCF Fragrant Hills Tourism Summit is an important annual event of the Federation, attracting international tourism organizations, government officials of tourism cities and senior executives of tourism-related institutions from all over the world. The summit has grown into a comprehensive platform of the tourism community for promoting exchanges, enhancing cooperation, boosting economic growth and building consensus of member cities and institutions. The program of the Fragrant Hills Tourism Summit includes thematic forums, trade fairs, investment fairs, tourism promotion events and tourism exhibition. To select the host city of the Summit, the mayor of the member city or his/her authorized representative will first submit the application in a formal letter, and then present the city with a candidate statement at the Council meeting. The members of the Council will choose the host city by anonymous voting. The Summit each year will vote for the city to host the Summit two years later. Since its establishment, WTCF has been successfully held 6 Fragrant Hills summit. The first 3 summits were held in Beijing. During the summit, the Beijing Declaration and the Beijing Consensus were released, the core vision of “Better City Life through Tourism” was raised, and the World Tourism Cities Evaluation System was issued. In 2015, with the theme of “Diversity and Sustainability”, the first overseas Fragrant Hills Tourism Summit was held in Rabat & Fez, Morocco. In 2016, the summit was held in China’s western city Chongqing with the theme of “Sharing Economy and Development of World Tourism Cities”. During the summit, the Chongqing Declaration has been released to boost the development of tourism cities under the age of sharing economy. In 2017, with the theme of “Impact of Globalization on World Tourism City Development”, the 2017 World Tourism Cities Federation Los Angeles Fragrant Hills Tourism Summit was held. During the summit, the Promoting the Globalization of World Tourism Cities — Los Angeles Declaration was released. The declaration aims to promote discussion of how developed economies lead world tourism development. With a beautiful environment, stunning scenery, flourishing economy, and lots of vitality, Qingdao is a Chinese National Municipality with Independent Planning Status, and also a leader in economic development among the cities in Shandong Province. The city governs seven districts (Shinan, Shibei, Licang, Laoshan, Huangdao, Chengyang, and Jimo), and three smaller cities (Jiaozhou, Pingdu, and Laixi). It covers an area of 11,282 square kilometers, with 8.03 million register household population, and 9.204 million permanent residents. According to the urban positioning of the State Council of China to the general planning of Qingdao in January 2016, Qingdao is a central coastal city of China, coastal resort city, international port city, and national historical and cultural city of China. As an important coastal city in China, Qingdao’s GDP reached 1103.7 billion yuan in 2017, 120,000 yuan per capital; the total fiscal revenue was 322.2 billion yuan; the general public budget revenue amounted to 115.7 billion yuan, and the expenditure amounted to 140.3 billion yuan. Qingdao’s GDP increased by 7.8% in the first quarter of this year, which is 1.0% higher than the national GDP and 1.1% higher than Shandong Province’s GDP. As a coastal resort city, Qingdao has 123 A-level tourist attractions, 504 travel agencies, and 100 star hotels. The number of tourist reception of Qingdao reached 88.16 million last year, and the city was ranked as “The Most Suitable for Human Habitation” city by the United Nations. As an international port city, the Qingdao Port’s cargo throughput exceeded 510 million tons last year, and the foreign throughput was 370 million tons. The container throughput of Qingdao port was nearly 20 million TEU in last year, ranking seventh in the world port ranking. Qingdao Port is the most important seaport in the Yellow River Basin and is connected with 177 ports worldwide. The Qingdao Liuting International Airport operates 157 domestic departure and arrival flights, 27 international departure and arrival flights, and 2 Hong Kong Macao and Taiwan departure and arrival flights. Last year’s passenger numbers reached 23.21 million. The new Qingdao Jiaodong International Airport, which is under construction, is a class 4-F Airport and is expected to be put into use in the first half of 2019. As a national historical and cultural city of China, Emperor Qin Shi Huang once patrolled east to the Ancient Langya, which was conferred as Jiaodong State, where the past city ruins of Jimo are stored. Now it is also reputed as “Modern Urban Epitome” and “World Architectural Expo”. As a starting point of the May Fourth Movement, there are a number of impressive historical relics, and its new growth symbols have been rising up constantly. Reputed as the “Island of Music”, Qingdao is also known overseas as the “Sailing City”. It has been accessed as the “City of Film” by the UNESCO.